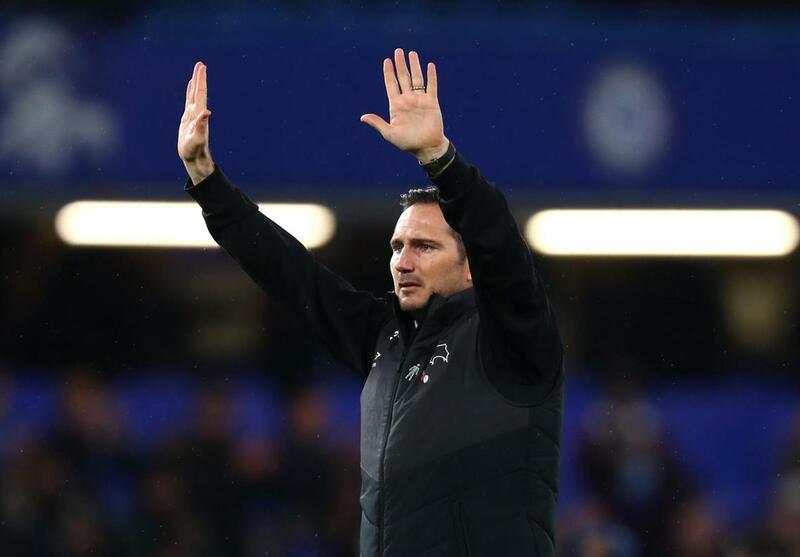 Chelsea 3-2 Derby: An emotional return for Frank Lampard and frustration for Maurizio Sarri. 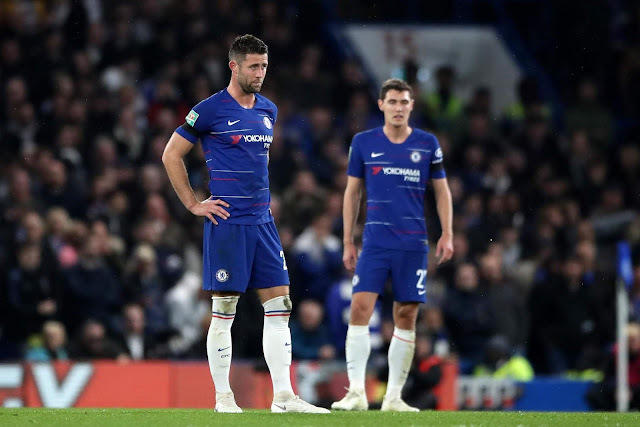 On an emotional night at Stamford Bridge, Chelsea defeated Derby County 3-2 in the Carabao Cup to take us through to the quarter-finals against Bournemouth. 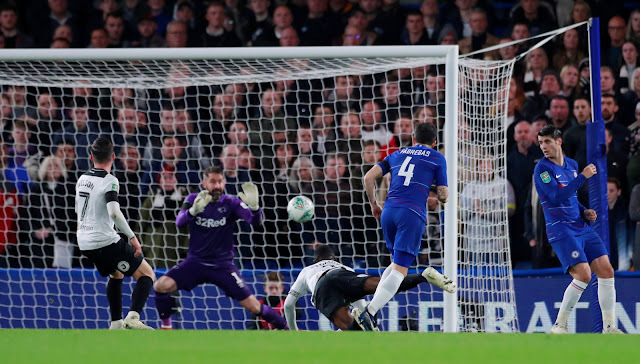 Two own-goals and a Cesc Fabregas strike late in the first half won the game for the blues however, Maurizio Sarri appeared to be more than frustrated on the sidelines. The coverage of the game was always going to be about the return of arguably the best player in Chelsea's history - Frank Lampard and the next stage of his career. He has started well in management with the Championship side with a highlight so far the victory over Jose Mourinho at Old Trafford in the last round. 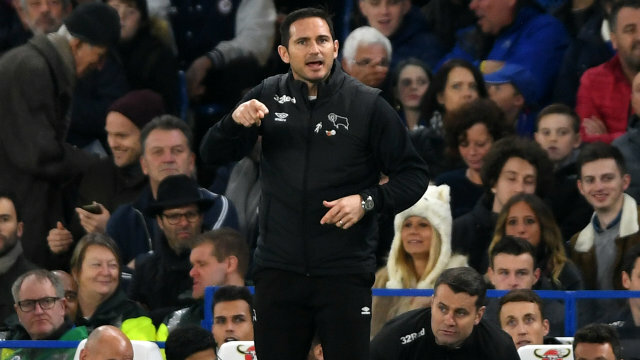 Speaking ahead of the game Lampard said everything you would expect of his love for the club, for the people here and of the affection he holds for the supporters, "Thirteen years of fantastic memories but I have a job to do now" was his retort pre-match when asked of his return to West London. He also stated that he wanted his players to walk off of the pitch without any regrets, to give it a good go and to express themselves - to which they did impressively well. His team scored four goals here last night and the two they scored for themselves were well worked, well taken. It's still early days for Lampard and Jody Morris but they look a good, entertaining side which if they play as they did against us last night, will challenge for promotion without question. Congratulations Derby County for your performance and your spirit, good luck for the rest of the season. As for Maurizio Sarri and his Chelsea side? Plenty of you would have witnessed the managers frustration during the course of the game with many of the players as mistakes crept into our game. It's a nice touch that the manager hands over the press conferences and pre/post match interviews to Gianfranco Zola for this competition, you could only have imagined what Sarri would have said of his players judging by the gesticulations he was making. The problem we have is that half of our squad are match-fit, playing week-in, week-out and up to speed with exactly what the manager wants to implement that in games. The other half are not and it's as simple as that. Last night was a classic demonstration of what happens when players are thrown into games after a few weeks of being confined to the bench or left out of the starting eleven altogether. I could sit and write about individual players, mistakes that were made and our overall play last night but there is little point because we are only going to see the likes of Willian, Kante, Morata and Kovacic involved against Crystal Palace at the weekend. As for the others, Ruben Loftus-Cheek playing in a role that he is still learning impressed last night and had the beating of his opponent, other than that nothing really. The fact that Andreas Christensen was substituted for David Luiz with twenty-five minutes to go tells it's own story as the manager looked for someone to come on and organise as we looked a shambles at the back. The thing is, these players are finally getting some game-time ( Danny Drinkwater still sits there patiently waiting by the way ) and are looking to make some sort of impression to force their way into the managers plans. However, their lack of playing time and lack of match fitness really came to the fore last night with our play. At times we looked to be playing "Sarri-ball" as it's become known but those glimpses were few and far between as some players looked leggy and tired. Let's be honest, we would have taken the win before the game no matter how it came knowing that there would be plenty of changes made. Chelsea delivered that despite only scoring once and we are through to the next round to face Bournemouth at home avoiding the likes of Arsenal, Man City and Tottenham. Next up Crystal Palace on Sunday in the Premier League.